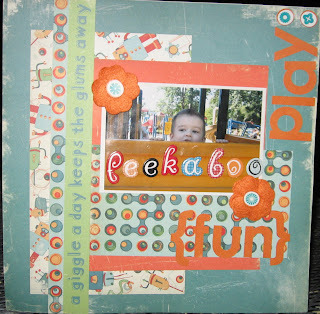 Bits & Scraps Of My Life: Ella's Pink Scrapbook Challenge #20! 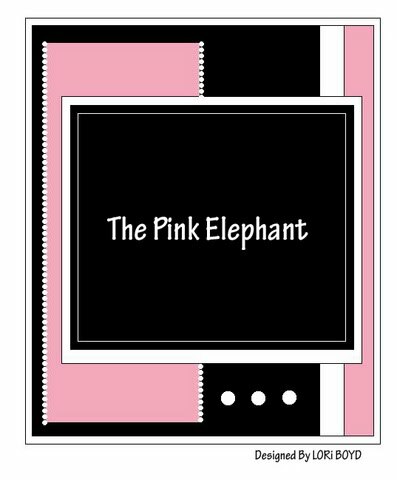 Ella's Pink Scrapbook Challenge #20! Are you ready for another awesome challenge? TADA!!!!!! This week Ella the Elephant has decided on a sketch challenge! Don't ask me how exactly she determines each week what she is going to challenge you to do....it's a secret only elephants know apparently....I've tried bribing her with peanuts but she just ain't gonna spill the beans! But I have learned you gotta watch her...she is sneakyyyyyyyy!!! She has a little twist this week...for like, the third week in a row! and check out what the team put together for you. I am so blessed to be amongst such wonderfully talented girls! And it is so cool to see how everyone had a different take on the sketch! You ready for the twist? Photo is of Jesse when he was about 3 at our local park...he is peering over the jungle gym/slide thing. Reminds me of Kilroy.....lol. So there ya have it! Cmon over to The Pink Elephant and play along this week......sketch plus fabric of some sort!!! And be sure to link us up so we can all leave you some bloggie love!!! Super cute page! Love the title and the kid is pretty cute too. :) I know what you mean about busy pages, sometimes you just can't stop.